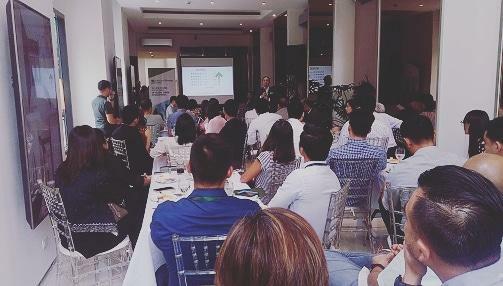 The "Lunch and Learn“ event hosted by Cebu Exchange by ArthaLand and ARCH Capital in partnership with the Urban Land Institute(ULI) focuses about green markets tend to thrive in developing economies like the Philippines. And the Philippines is now transitions into a culture that advocates sustainable design and technologies, pushing efforts towards environmental sensitivity, and making the country a more globally attractive investment destination for both commerce and the real estate industry. This is also part of their mission to promote and share green building practices in the Philippines. 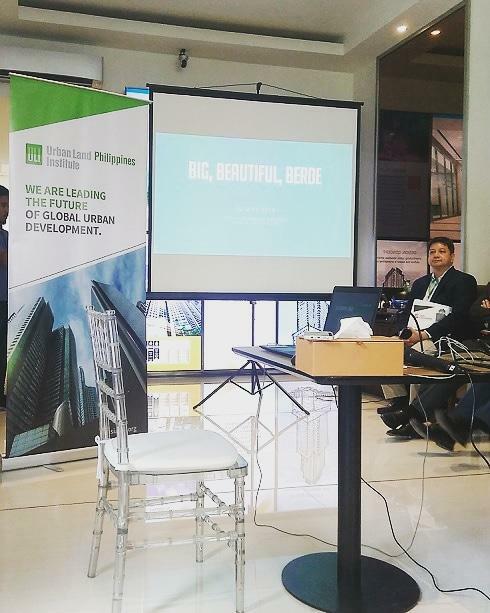 The forum was held at the Cebu Exchange Gallery in Cebu City with distinguished speakers and guests from the real estate industry. Among the keynote speakers were Raymond Rufino, Chairman of the Urban Land Institute Philippine National Council and Chairman of the Philippine Green Building Council, Jonathan Umali, Director of Investment and Asset Management at Hong Kong-based investment firm ARCH Capital, Phillip Ahonuevo, Director at Leechiu Property Consultants, Inc., and Leo Po, Executive Vice-President and Treasurer of ArthaLand Corporation. There are currently 92 real estate projects that have been awarded LEED certifications in the Philippines, with many more currently registered and undergoing the application process compared to the handful of LEED certified projects in the Philippines in 2010 according to the US Green Building Council database of green buildings. To date, around 25 percent of all LEED certified properties and 38 percent of BERDE certified properties and operations are located in Taguig in Metro Manila. With limited land resources in Metro Manila areas of BGC, Ortigas, and Makati CBD, Cebu presents more room to grow and is emerging as an attractive place for real estate developers to pursue brand new green investments. Cebu is currently the fastest growing Central Business District in the Philippines, with the government‘s support of green building practices, and low vacancy rates among its supply of office spaces. 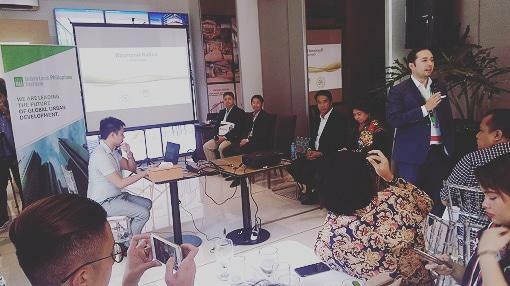 Rufino, who is also the Chairman of the Philippine Green Building Council which developed the BERDE rating system, shared that “the trend of sustainable spaces and green buildings is not only geared towards attracting investors, but most importantly, targets the improvement to the quality of life and propel businesses forward." According to the 20l6 World Green Building Trends report which was produced by Dodge Data & Analytics in partnership with the US Green Building Council, there are a number of economic benefits for developers to pursue sustainable investments. Aside from the environment-friendly practices which reduce energy consumption, and air pollution causing emissions, green buildings yield strong financial returns for owners and tenants of these buildings. Green buildings lead to lower operating costs due to savings on energy costs and lifespan costs. The rigorous screening processes of green certifications provide quality assurance for potential tenants leading to higher rental and occupancy rates. Tenants also experience increased productivity and awareness about sustainable practices. Phillip Añonuevo also shared how both the public and private sectors are preparing added infrastructure for the investments in real estate coming to Cebu including the recently inaugurated Mactan Cebu international Terminal 2 Building with a capacity of around eight million passengers per year, the 3rd bridge link between Mactan and Cebu City to ease traffic within Cebu City and provide easier access to Cordova, and the Bus Rail Transit (BRT) system for fast, convenient, and affordable commutes. Cebu Exchange, ArthaLand's latest signature office tower is poised to change the workscape environment in Cebu’s foremost commercial hub. The launch of this distinct new office project is yet another strong affirmation that Cebu is capturing the eyes of developers and business owners to create value through the creation of green buildings in the Philippines. 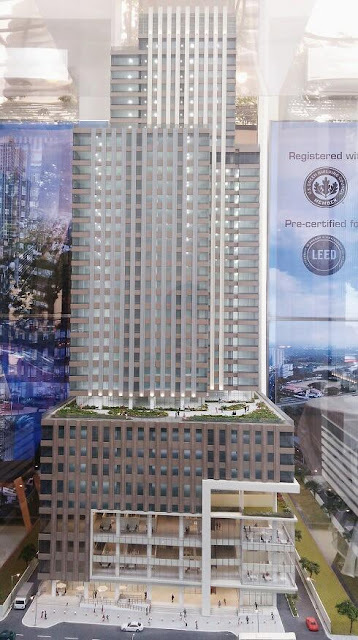 The Cebu Exchange development had its initial concrete pouring just last 29 May 20l8, and is set to be one of the tallest developments in the Cebu IT Park with 39 stories of mixed-use commercial and office space, and the biggest green building in the Philippines with a projected size of 109,000 square meters. It is on track to meet the highest certifications in both LEED and BERDE when the project is completed. ArthaLand, as a boutique developer is mindful of the investment approaches of the company. As ArthaLand's first property development outside of Metro Manila, the location of the project was an important consideration. Cebu Exchange is located at Salinas Drive, in the gateway of the Cebu lT Park, which boasted a l% vacancy rate from total current gross leasable area in 20l7. Cebu Exchange will be a stunning landmark and a leading-edge business ecosystem within this thriving growth center. Leo Po, Executive VP and Treasurer of ArthaLand Corporation said “ArthaLand is committed to delivering best-in-class and sustainable developments, that not only add to the bottom line, but also are visual assets to the city's skyline." Aside from the scale and location of the project, ArthaLand's goal is to create a beautiful and instantly identifiable architectural design while accommodating the complex requirements of a green building. The street name, Salinas Drive, served as the inspiration for its design. Like salt clusters, the building features interlocking cubic volumes defining the tower‘s crystalline massing and becoming an iconic addition to ‘Cebu's cityscape. For further information and appointments, visit the Cebu Exchange Gallery located on-site along Salinas Drive. Lahug, Cebu City. 0 comments: on "How Cebu is becoming a Hub for Sustainable Developments in PH"